Household junk reduction. It’s easier said than done. The fact of the matter is, it’s not that simple to limit what’s in the house because it’s so easy to overlook those closed-off storage areas. When a closet or cabinet is full, there’s usually more space somewhere. So, instead of reducing that overstuffed closet, you’ll put more things in another area. The reality is, household junk reduction is not a simple task. We all have a lot of stuff laying around. But, since it doesn’t interfere with our day-to-day lives, it’s often completely ignored. That is, until it’s time to bring in replacements. Or, it’s time to move. Then, it’s obvious there’s just too much stuff and you really need to do something about it. Of course, if you don’t, that’s just more to handle, now or in the future. Because there will come a time when you (or someone else) will have to deal with it. So, it’s best to get a handle on it and not make the problem worse to make it more work later on down the line. Adopt a new routine. The first step is to adhere to a new routine. The only way to “fix” the problem is to change your behavior. So, give yourself some time to adopt a new routine slowly to make a smoother transition. 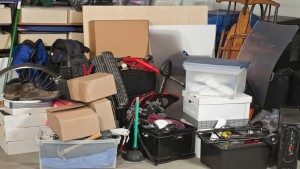 Say “Yes” instead of “No.” What makes getting rid of stuff so hard is the fact it’s too easy to justify what’s actually needed and what can go. Which means saying “Yes” instead of “No” when deciding to ditch items you no longer use. Purge unused stuff periodically. Also, you can choose a time to schedule a purge. Don’t try to clean out every room on one single day. Instead, go through one room at a time and you’ll have a lot more success in getting rid of stuff. Do not add to your possessions. Another thing you’ll need to do is to stop adding to the problem. Don’t bring more stuff home and that way, you’ll have less to deal with in the future. When it’s time for household junk removal, go ahead and phone 800-433-1094 or visit Junk Garbage Removal.